It sounds like a thriller? It is on. However, Elizabeth Harvest it’s a very special one. It isn’t any conventional movie. First of all, it impresses because of its twists. There isn’t any linear plot. Probably, you will think to understand everything at the beginning. But, from minute to minute you have to learn that you were wrong. Besides the interesting story, Abbey Lee impresses in her first leading role. In the same way as the story develops, Abbey’s unfolds her true talent. The Australian model, musician and actress has much more to offer than an eye-catching face and body. Abbey Lee understands it to express helpless, uncertainty, innocence and fragility as well as self-confidence, power and the will to survive. With every minute you will feel closer connected to her. Alongside Abbey Lee, Ciarán Hinds (Henry), Carla Gugino (Claire), Matthew Beard (Oliver) and Dylan Baker (Logan) are starring in Elizabeth Harvest. All of them are good actors, who play their roles convincingly. But the beautiful young talent steals them the show. Of course, Abbey Lee is also the perfect complement for the magnificent house. Wow, everybody dreams to live in a location like this someday. Thus, paired with the camera work and the music, director Sebastian Gutierrezand created a decelerated, calm atmosphere. Hence, Elizabeth Harvest isn’t made for “action” fans, but for people who love complex stories which stimulate the thoughts and emotions. 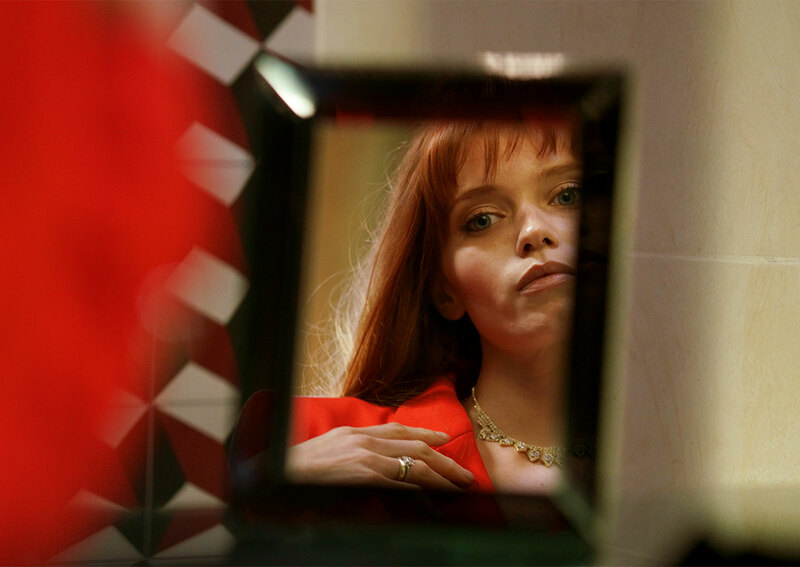 Especially on DVD or Blu-Ray, with a good glass of wine and time to enjoy, Elizabeth Harvest is a worth seeing movie. Thus, VALEUR gives 7.5 Points.